On the occasion of celebrating fifteen years of investment, Investisseurs & Partenaires (I&P), the impact investing group dedicated to Small and Medium Enterprises in Sub-Saharan Africa, has announced the first closing of IPAE 2, a new impact fund combining performance and impact. Building on the success of I&P Afrique Entrepreneurs (IPAE) launched in 2012 with a fund size of €54 million, Investisseurs & Partenaires (I&P) has launched a successor fund to target growing African SMEs with higher financing needs ranging from €300,000 to €3 million. The first closing of IPAE2 at €50.3 million announced today is split equally between new and former investors, reflecting both a renewed trust in the work accomplished by the investment team and a robust endorsement of the impact investing sector. The roundtable brings together a well-balanced composition of partners, including public investors (Proparco, International Finance Corporation, European Investment Bank, etc. 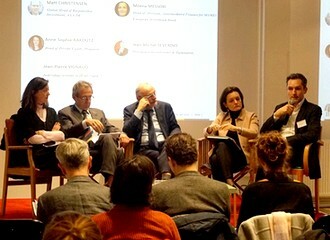 ), corporate and private investors (AXA IM, Société Générale, etc. ), family offices and foundations. With a target size of €80 million, IPAE 2 will invest in equity and quasi-equity as a minority shareholder in 30 to 40 startups and businesses located in Sub-Saharan Africa and the Indian Ocean, and thus contribute to building a sustainable and productive private sector. IPAE 2 also aims to create an investment hub in East Africa, by opening a new office in Nairobi. IPAE 2 will be a generalist fund that targets a large range of sectors that significantly contribute to the achievement of the Sustainable Development Goals (SDGs): agri-business, health, construction industry, renewable energy, microfinance, industry, B2B products and services, etc. With this new fund, I&P strengthens its impact investment model focused on promoting responsible African entrepreneurs and demonstrates this through the implementation of an innovative system of remuneration for the management team, which is indexed not only to financial performance, but also to the achievement of extra-financial impact indicators. “I&P’s commitment to African development is highlighted through our different funds, all of them sharing the same philosophy: an entrepreneurial spirit, commitment to development, integrity and high-standards. Offering a range of diversified funds is one of I&P’s major strengths. I&P contributes to the development of the entrepreneurial ecosystem in Africa, in order to address the issues of job creation and sustainable growth in Africa” explains Jean-Michel Severino, CEO of Investisseurs & Partenaires. IPDEV1, the first fund launched by I&P in 2002, invested in 33 companies across a number of sectors (agro-industry, essential services, industry, health, microfinance, etc) in some ten countries. A total of about 20 exits have been realized from IPDEV1. IPDEV2, which aims to sponsor and incubate 10 local funds reached a first closing at €10 million in 2015. A second closing is expected in early 2018, and four funds are already operational – Sinergi Niger, Sinergi Burkina, Teranga Capital (Senegal) and Comoé Capital (Côte d’Ivoire). Two IPDEV2 funds based in Madagascar and Ghana are expected to be launched soon. Launched in 2012, IPAE manages a portfolio of 29 investments, representing a commitment of €30 million. The turnover of the portfolio companies has increased by 27% on average over the last two years.